In the last few years, Walt Disney World Resort has offered a late summer/fall promotion that has become extremely popular among Guests called free dining. Disney fans are OBSESSED with free dining, often throwing reasoning out the window, and will go through great lengths to obtain one of these coveted reservations, regardless of whether it actually saves them money on their vacation in the end. Well, when free dining was announced yesterday on April 27th, I became one of these people and wanted to share my experience and tips. Around 10 a.m. I began stalking the Disney World Resort reservation website. The server was extremely slow and it took me several hours of continuous refreshing to finally get through on the reservation page to see what was even available. I did not even try to attempt calling and heard that wait times were approximately two hours long to talk to a Cast Member over the phone! My goal was to get the regular dining plan by the least expensive method possible, which meant trying to book a standard room at one of the Moderate level resorts included in the promotion. By the time I got through, there were none of these rooms available but I was able to find an upgraded Pirates themed room at the Caribbean Beach Resort that cost more. I paid $200 to secure the reservation. I knew that people were constantly changing their reservations and that Disney Cast Members had told other Guests that they would be adding more rooms to the promotion so I periodically checked the website for availability. Only 24 hours after booking my initial reservation, I scored a five night stay in a standard room at Coronado Springs Resort in mid-November with free dining and cancelled my first reservation online. Despite it’s popularity, free dining does not always save families money. You really have to do the math and figure out how much you would spend on your vacation if you paid for food out of your own pocket (or purchased one of the Dining Plans) and how many people are travelling with you (e.g. a couple travelling together will often not benefit from free dining than say, a family of 4 or 5 staying in the same room). 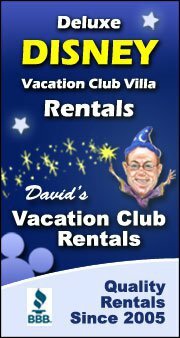 You also have to consider that, concurrent with the free dining promotion, Disney often offers large discounts off room only rates (up to 30% off), which can often save families more money than free dining since you have to pay rack rates for accommodations and adhere to other stipulations. I did the math and found that, this time, free dining did make sense for my family of 4 including my husband and two sons, ages 5 and 3 at the time of our trip. Free dining did not make sense for us in the past because our children were younger and could share meals or eat off our plates. We ended up paying $2660 USD for five nights in a standard room at the Coronado Springs Resort, which included a regular dining plan and 6 day park hopper tickets for everyone in our family. The dining plan alone would have cost us almost $800 alone if we had paid for this out of pocket and the 6 day park hoppers cost about $1614 bringing the cost of our accommodations to just $246 total for 5 nights! The rack rate for this room type is currently advertised as $187 plus tax per night. Even with a 25% room only discount, that brings it down to $140 per night plus tax so we’re still coming out ahead this time. What appeals to me about the dining plan is that we can vacation and eat like kings and not have to worry about skimping and saving our quarters at every meal. It allows us to indulge in things that are included that we normally would not purchase, such as dessert and non-alcoholic drinks, and making reservations at more expensive restaurants and eating more costly entrees. WDW Info – This page does not specifically talk about the 2015 free dining but it has some great information on Disney’s Dining Plans if you’re currently unfamiliar with them and are considering paying for one out of pocket. I love to hear about other people’s experiences and opinions about free dining and whether it works for them. Feel free to share your thoughts here!